If you aren’t deep in the trenches of search engine optimization (SEO), long-tail and short-tail keywords may be a newer concept for you. However, once you realize the potential that long-tail keywords have for improving your SEO and online advertising campaigns, the easier it gets to create lists and implement them. Long-tail keywords are search terms to optimize for that are longer than one or two words. For instance, “beauty salon” is short-tail, whereas “beauty salon in downtown Memphis” is a long-tail keyword. These long-tail keywords are more elaborate and descriptive, which makes it easier to drive the most targeted audience to your landing page, blog posts, or website. Believe it or not, according to a study by HitTail and published by CWS, long-tail keywords actually make up about 70 per cent of all search traffic. In addition, even though 60 per cent of users click on one of the first three results for their searches, that still leaves almost half of searches, making any presence on the first or second page of the search engine results a possible success (depending on your goals). 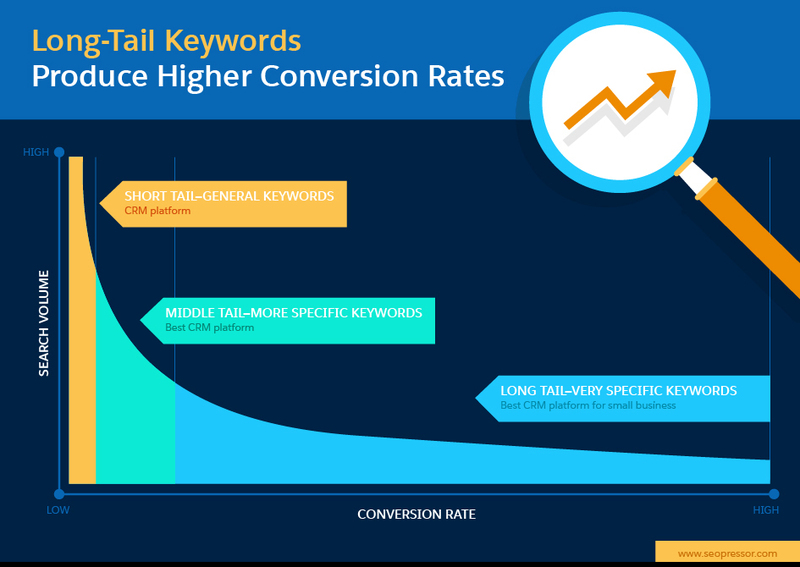 Below are some of ways to use long-tail keywords and why they are important to your paid search (pay-per click, or PPC) and social media campaigns. Customer Service and Sales: By knowing the top terms customers are searching for, the sales team can better craft their pitches and bring up specific products during conversations with customers. Content Marketing: Looking at popular long-tail keywords that your SEO team is optimizing for can help the content marketing team make sure these themes are weaved into blog posts, white papers, and other indexable (findable by search engines) content. You can start creating your list of long-tail keywords by doing keyword research. This process involves using a combination of several tools and resources, a few of which are mentioned below, while also tracking your progress in your target areas. Most people track their rankings simply by checking search engine results pages (SERPs), but because there are so many variations of keywords (especially long-tail keywords), it doesn’t always give the best picture of your efforts. 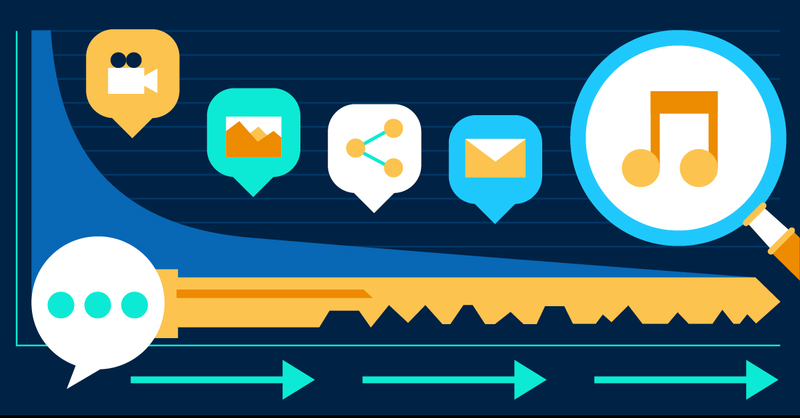 In your analytics, you should also be tracking overall traffic, bounce rate, time on site, and new/recurring visitors. Use the tools below to compile a spreadsheet of short- and long-tail keywords you want to optimize and try to rank for, or, in layman’s terms, become one of the first results on a SERP. Then, you can start creating new blog posts (with your content team) or optimizing existing pages for longer terms. Just make sure you continue to use a variety of keywords so your website isn’t over-optimized or considered “keyword stuffed,” which is frowned upon by Google (as part of its Penguin update). Of course, you can always look at your own data in Google Analytics, but the [Not Provided] update in 2011 removed many of the search queries Google used to show analytics users in their own dashboards. Before this, you could log into Google Analytics and view most, if not all, the search terms users put into search engines to reach a page on your site. However, not all hope is lost. There are tons of different keyword research tools, usually built into full-featured SEO tool suites. What works best for your company or clients depends on budget, features, and user experience. 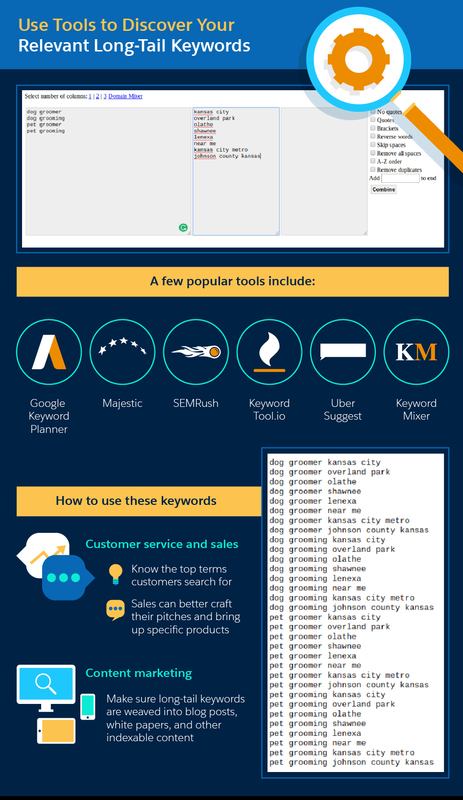 Below are some of the most-recommended keyword research tools. Take advantage of free trials or compare the free tools to paid alternatives to make sure you are getting the most keyword possibilities possible. Currently, you can use Google’s Keyword Planner tool within any active AdWords account dashboard. You can search by long- or short-tail keywords, as well as domains. If you search by URL, Google will return its recommended keywords based on that page’s content. This is a good option if you’re starting from scratch and have a lot of content on your site to pull from. You can also check competitor pages to see what keywords they use. As you type a search query in Google.com, it automatically gives you suggested long-tail phrases to complete your search. While this was built for user convenience, it’s a great tool for people researching keywords because it allows you to get into the minds of what many people are searching. 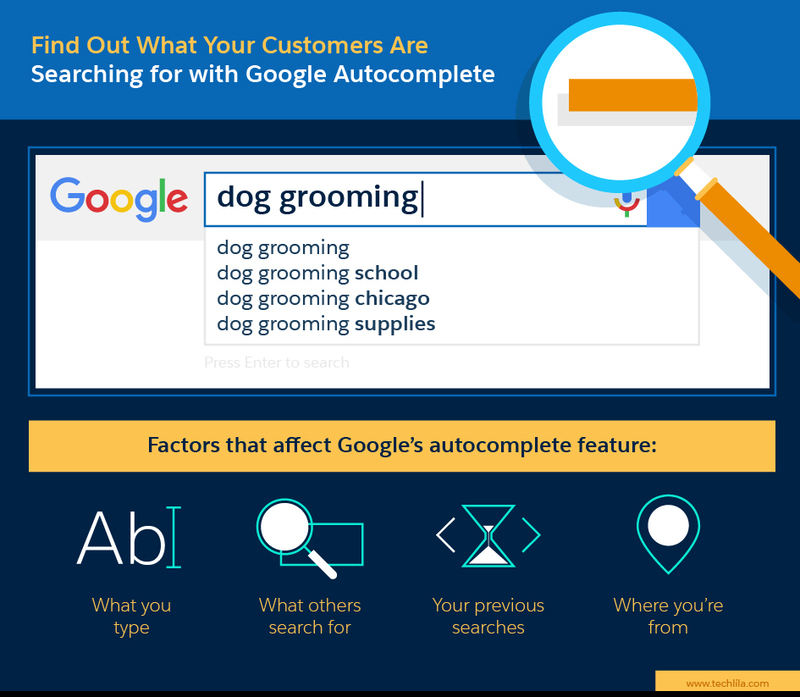 Start by typing in a short-tail keyword phrase and see what the autocomplete results are. There are also autocomplete mining tools out there if you want to automate this process. Majestic and SEMRush are just two of many paid SEO tools you can use for keyword research, tracking, reports, and more. Because they are paid tools, you can get a lot more precise and complete data for your queries. Often, you simply need to enter your list of primary short-tail keywords, and these tools will spit out a list of long-tail suggestions. You can also view how competitive these are in search (which is great for paid campaigns). When using a paid tool, be sure to take full advantage of it and research for new long-tail keywords to add to your list on a regular basis (for example, every four to eight weeks). This tool bills itself as a “free alternative to Google Keyword Planner.” You can search one long- or short-tail keyword at a time, and you can also not only search by a specific country’s Google results (which is great for international SEO), but you can also search on Amazon, Bing, or the App Store. This is great for e-commerce sites because you get buying insights from Amazon, where people are actively using the search function to shop and make purchases. UberSuggest is similar to KeywordTool.io, but it allows you to search different verticals of Google, such as shopping and images. Image search is great if you and your team are creative people who can get inspired for more keyword ideas just looking at images. Shopping is ideal if you plan to put your products on a Google Shopping feed and/or want to do a paid campaign. UberSuggest gives you an idea of current results and what others are searching for so you can better optimize your product descriptions and titles. If you’re not a local business, you can still combine common industry terms that your audience may search for. You can also use basic qualifier words like “set,” “price,” “deal,” “kit,” and “package” to make your keywords more precise. Long-tail keywords are often an involved process when it comes to reach, but the results pay off: According to the research by HitTail, “pages optimized for long-tail keywords move up 11 positions in SERPs versus five positions for short-tail.” This means that your pages have a higher likelihood of being shown higher in search results for your audience. Take the time to do your keyword research, regularly scout for new phrases to add to your list, and track your success so you can best hone your process.